HEY NATALIE JEAN: HAPPY WEEKEND TO YOU! i'm hoping huck isn't too terrified of santa this time. after how last week's ward christmas party went down . . . i'm not holding my breath. he is definitely a combo of you two for sure. i hope he's not so terrified of santa next time - and that shot from last year! my goodness! what a little baby he used to be. you're the female (brunette) version of huck! Oh my heavens. That last picture is priceless! The Macy's Santa is wonderful! (We met him on his break). Real beard, real tummy, and a lovely red satin vest. I'm sure Huck will approve. Hahaha. Oh man, he is going to HATE you in a few years for posting those crabby pictures with Santa. Oh, he's definitely got some of both of you. AND YOU! AS a kidlet! Those cheeks! What dark sparkly eyes! LOVE LOVE LOVE all of the glorious photos of that little boy of yours! 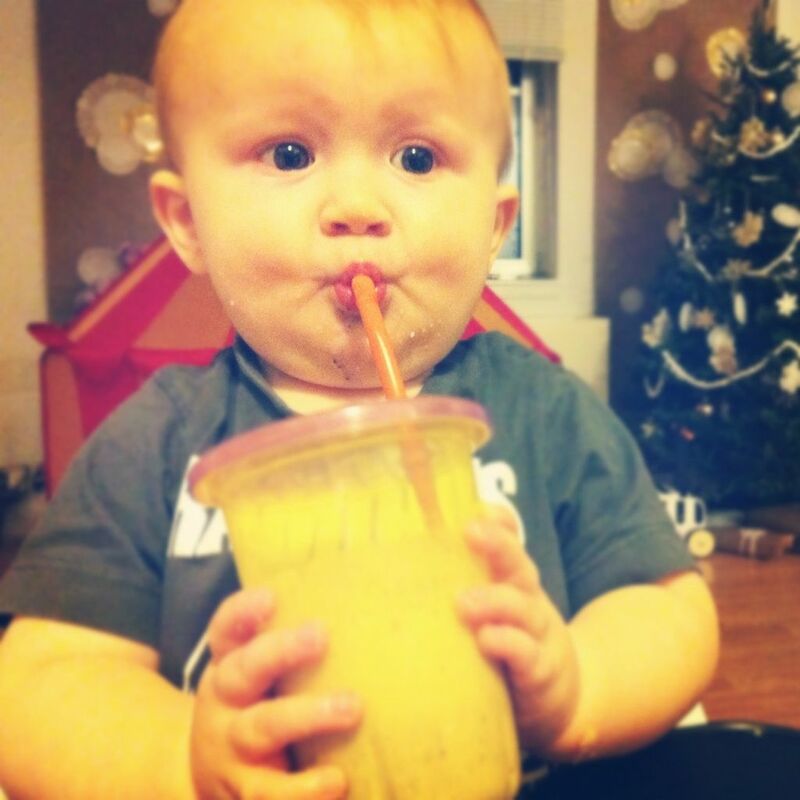 He is the cutest little darlin' EVER! The 2nd "here" picture you look IDENTICAL to Huck. Cute cute cute! 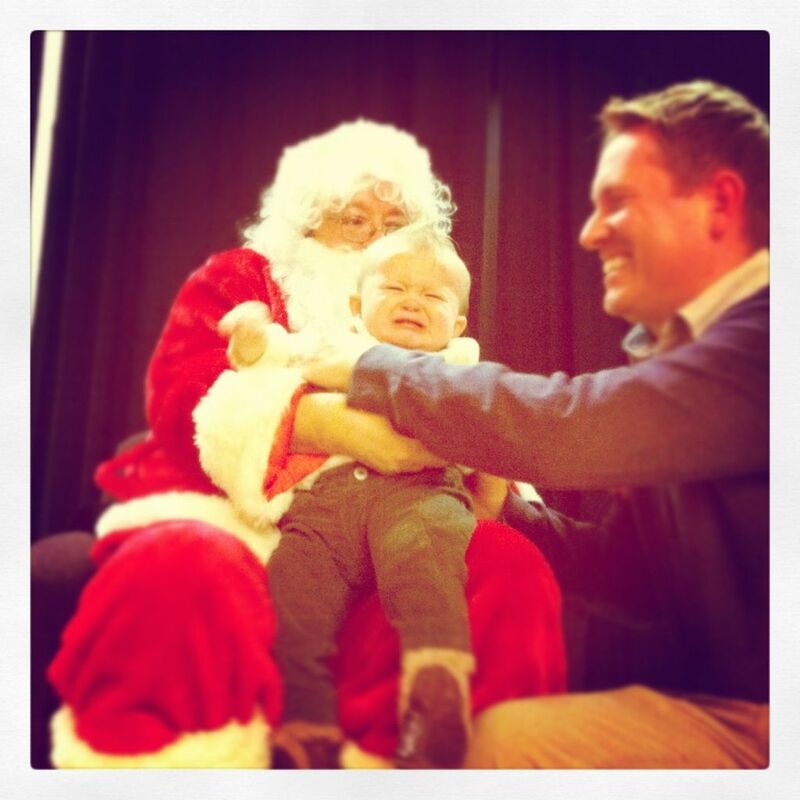 Christmas is the only time we try to get our kids to sit on a stranger's lap and then laugh when they cry. I know I do! You sure have a sweet little boy. I cried on Santa's lap every year until I was in Kindergarten? Umm, Huck's a beautiful kid, even when he's bawling. Nice! oh gosh. for realzies, you have the cutest child ever. maybe (maybe) even cuter than mine (gasp!!) he really does look like you too! wow. Thank you for that lovely sucking down the smoothie picture. His little sucked in cheeks are too cute! that santa picture!! Poor kid!! Um, HOLY CRAPOLI - that second picture = huckles. That last picture just made my day/weekend.....what a cutie! I can definitely see you in Huckleberry. 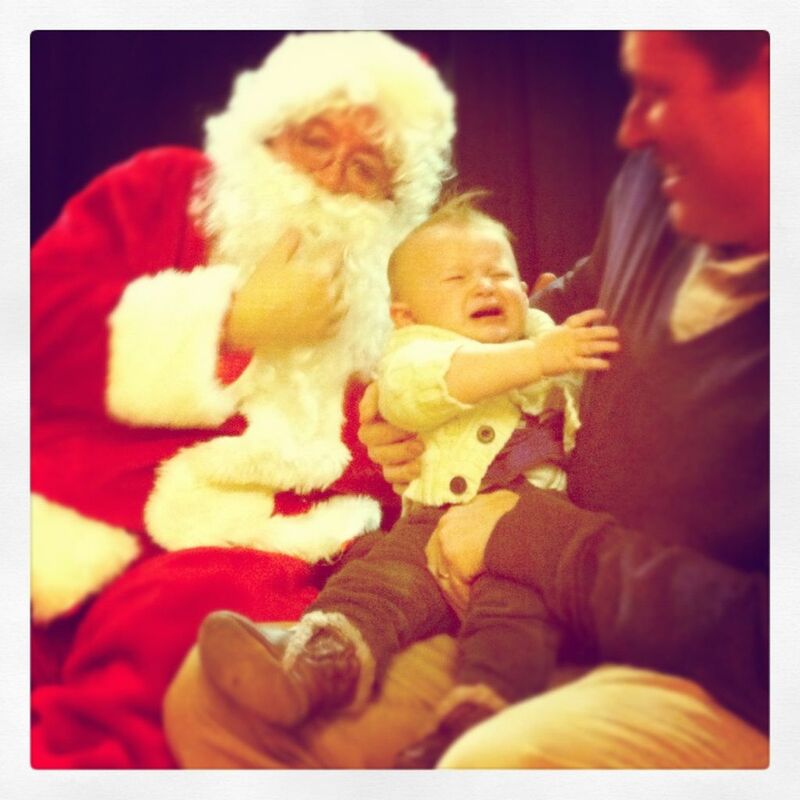 And poor Huck with Santa! 2nd here picture and the above pic of Huck, it looks like your both making the same face! Too cute! that second picture is totally Huckish! Oh for crying out loud, that last picture?! He is sooooo cute! And the toddler Natalie playing croquet is classic. Old photos are so fun.